Join Physiatrist Jessica Mack for a discussion on Preventing Back Pain at our Lebanon Office. Dr. Mack will discuss a variety of back pain prevention topics. 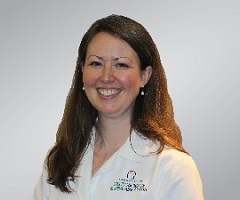 Physiatrist Jessica Mack has been with NeuroScience & Spine Associates since 2015. Learn more about Dr. Mack by visiting her profile here. Join her for this free education seminar at our Lebanon Office and bring your questions! The discussion will be followed by a brief Q & A session.